United Nations Declaration on the Rights of Indigenous Peoples, the Truth and Reconciliation Commission Calls to Action, and Gladue principles inapplicable to child protection matter. JR and AL are the parents of seven children ranging in age from nine months to nine years. Both parents have been diagnosed with cognitive and intellectual disabilities. Throughout their time spent together and apart, JR and AL suffered from multiple addictions, which aggravated domestic violence issues between them. All seven children have spent considerable time in state care due to the domestic violence and addictions suffered by their parents. The youngest children even tested positive for methamphetamines post-birth. The oldest children display severe behavioural issues and are likely to struggle in future years, thereby needing a stable and safe environment. The applicant, Kasohkowew Child Wellness Society (KCWS), exists pursuant to a tripartite agreement between the Province of Alberta, the Government of Canada and the Samson Cree Nation. KCWS brought an application under the Child Youth and Family Enhancement Act RSA 2000 c C-12 (CYFEA), for a permanent guardianship order for all seven children and this was ultimately granted by the Court. Counsel for AL opposed the application, making submissions in favour of less invasive action based on the United Nations Declaration on the Rights of Indigenous Peoples (UNDRIP), the Truth and Reconciliation Commission (TRC) Calls to Action, and the principles set out in R v Gladue,  1 SCR 688. With respect to UNDRIP, counsel for AL pointed to Article 7.2, which states “Indigenous individuals have the collective right to live in freedom, peace and security as distinct peoples and shall not be subjected to any act of genocide or any other act of violence including forcibly removing children of the group to another group (emphasis added)”. 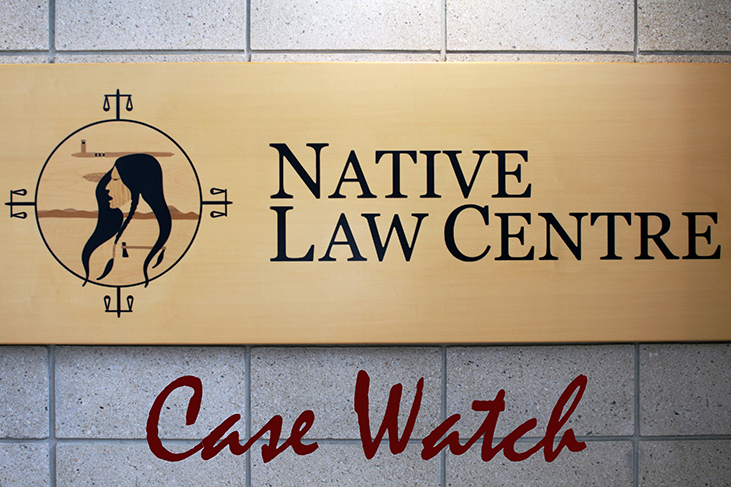 In response, the Court pointed out that KCWS is a delegated First Nations authority established under a tripartite agreement to provide child, youth and family services to Samson Cree Nation. The Court found it difficult to assume that such an authority would be at all involved in discriminating against its own people. Instead, the Court assumed that the director would only remove children and place them with non-Aboriginal foster parents as a last resort, and that the director found it in the best interests of the children to do so. The Court held that UNDRIP is aspirational and does not trump the best interests or physical and mental safety of the child. Counsel for AL quotes several TRC Calls to Action that relate to reducing the number of Aboriginal children in care. She pointed out that some of the child welfare workers directly involved with the family were not Cree or even Aboriginal. However, the TRC Calls to Action she quoted only calls for child welfare workers to be properly educated and trained in the history and subsequent impacts of the residential school system, and about the potential for Aboriginal communities and families to provide more appropriate solutions to family healing. The TRC did not say that all child welfare workers must be Aboriginal. 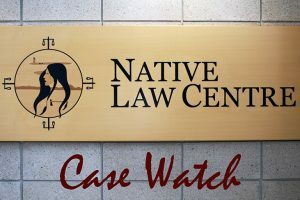 As for the potential applicability of R v Gladue, submissions of this type are usually in the context of criminal law cases, not child protection matters. The Court noted that the purpose of the CYFEA is not to punish parents, but to protect children and achieve what is in their best interests. In this case that would be stable, permanent and nurturing relationships and continuity of care for all seven children. As far as the negative impacts regarding the transmission of Cree culture, steps had been taken to keep the children together as much as possible. It was necessary to have the two youngest children placed in a group home, but the older five children are all together in one foster home. In terms of the preservation of the uniqueness of the children’s Aboriginal culture, heritage, spirituality and traditions, the Court was convinced that all appropriate steps were taken by KCWS to ensure these needs are met for the children.